Drinks International has named Pol Roger as the World’s Most Admired Champagne Brand in 2019, a magazine which ranks champagne brands from 1-30 based on the votes of the world's top wine experts. This is the sixth edition of the supplement, which is produced in collaboration with champagne expert Giles Fallowfield, and Pol Roger beat Krug to the top spot while last year’s number one Louis Roederer completes the podium. The Drinks International Academy of professional wine experts now has more than 300 members who all vote in the definitive survery, which dictates the list of admired champagne brands. 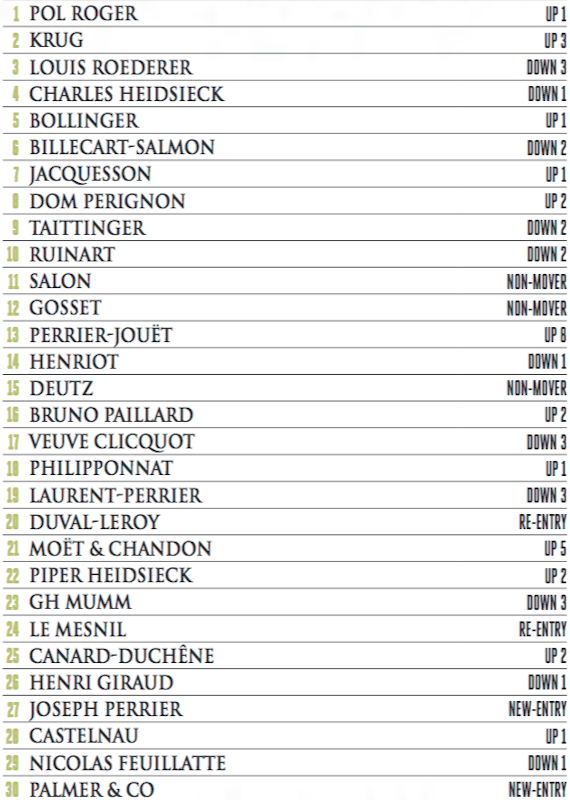 Click here to read the World’s Most Admired Champagne Brands 2019.